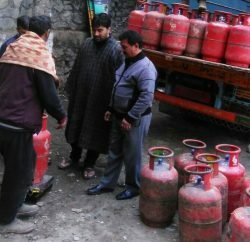 A spokesman of Himachal Pradesh State Civil Supplies Corporation assures the regular supply of LPG cylinders to the tribal areas of the State. 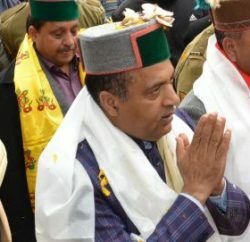 He said that due to repair works on Akpa Bridge in Kinnaur district, some difficulty was faced by the people in that area sometime in the past but now Corporation will provide adequate supply in that region. He said that the concerned gas agencies had been asked to clear the backlog within a month to cater to the demands of the consumers. 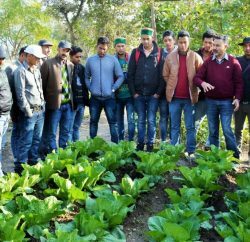 He said that 17 number of loads in the month of July, 17 in August and 10 till 15th September had been supplied to Kinnaur district. He said that Indian Oil Corporation was running the gas agency at Reckong Peo in Kinnaur district. 200 cylinders had been supplied against the demand of 197 at the extension counters of the gas agency situated at Jangi, Lippa, Asrang on 11 August, 2011.